The city of Chicago's automated red light camera system has grown to over 350 cameras and has raised over $500 million through $100 tickets since 2002. 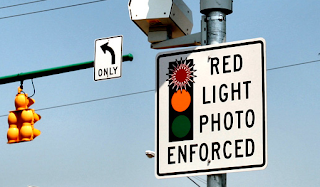 Investigations beginning in 2012 exposed corruption, lack of oversight, and inconsistent enforcement, which lead to a class-action lawsuit against the red light camera program. Recently, the city settled the lawsuit for $38.75 million. The deal would qualify 1.2 million motorists from 20100 to 2015 for 50 percent refunds because the city didn't give adequate notice to red light and speed camera violators. $28.75 would go towards cash refunds to those who paid their fines and $12 million would be debt forgiveness to those who didn't pay the tickets because the city failed to send out second notices of the violation that was required until 2015. The city will use general fund revenue to pay the settlement. Over $11 million could go towards attorneys who filed the class-action lawsuit. Abby, 15, and Kendall,12, McMillan were hit by a car while they were on the shoulder of Caldwell's Freezeout Road. They believe that they are victims of an intentional hit-and-run. The sisters were on their way back home from visiting their grandmother's house when they were rammed and knocked unconscious. Before they were hit, the eldest daughter heard the engine rev leading them to believe that the driver intentionally hit them. According to the release, the victims told authorities they were ejected from their two person utility task vehicle. 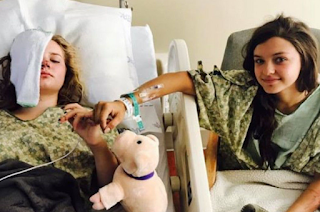 Abby suffered a small lung puncture in the accident, and Kendall experienced bleeding and bruising in her brain. Both are expected to recover. A wedding photographer from Dallas was awarded over $1 million in damages against an irritated married couple who started a spiteful social media campaign that ruined her business. The jury found in a 10-2 verdict that Neely and Andrew Moldovan knowingly published false statements about photographer Andrea Polito that harmed her business. They awarded Polito $880,000 in damages for injury to her reputation, mental anguish, and lost profits, and $200,000 in punitive damages for making false statements to intentionally harm Polito. 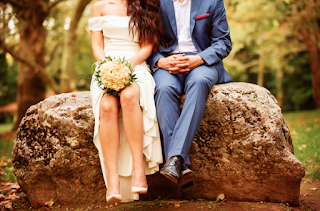 Polito sued the Moldovans' in 2015 after photographing their wedding in 2014. The disagreement centered around the Moldovans' objection to the signed contract stating that they must pay $125 for their photo album before Polito would turn over the high resolution photographs of the rehearsal dinner and wedding. 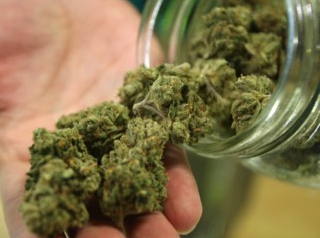 Sababu Colbert-Evans, 26, was sentenced to sixteen years in prison for his involvement in a gun fight at a mall in Aurora, Colorado over a marijuana, which turned out to be broccoli. The jury found Colbert-Evans guilty of attempted first-degree murder. In March, Tercell Davis (a drug dealer) received $10,000 in exchange for the supposed marijuana. It was, in reality, broccoli purchased from a grocery store. The buyers didn't notice the difference until they left the transaction. The next day, they scheduled another meeting under a different name in hopes of getting their money back or actual marijuana. They met in the parking lot of the mall. This time Davis brought Colbert-Evans and more broccoli. An argument ensued. Davis and Colbert-Evans fired shots at the fleeing buyers. Colbert-Evans hit one in the torso. The airline JetBlue is currently fighting a depiction of an episode that lead to a family's removal from a flight. JetBlue is considering banning the family from flying with the airline. Tamir Raanan and Mandy Ifrah said they were trying to fly back home to New York from Fort Lauderdale, Florida with their three children. Then their one year old started kicking the seat in front of them as the plane was preparing to depart. In a press release from their attorney, it says that Ifrah and the female passenger in the seat exchanged some words, and then the lady moved to an empty seat beside her. The family says that they apologized, but the flight attendant asked the pilot to return to the gate to remove the family from the flight.